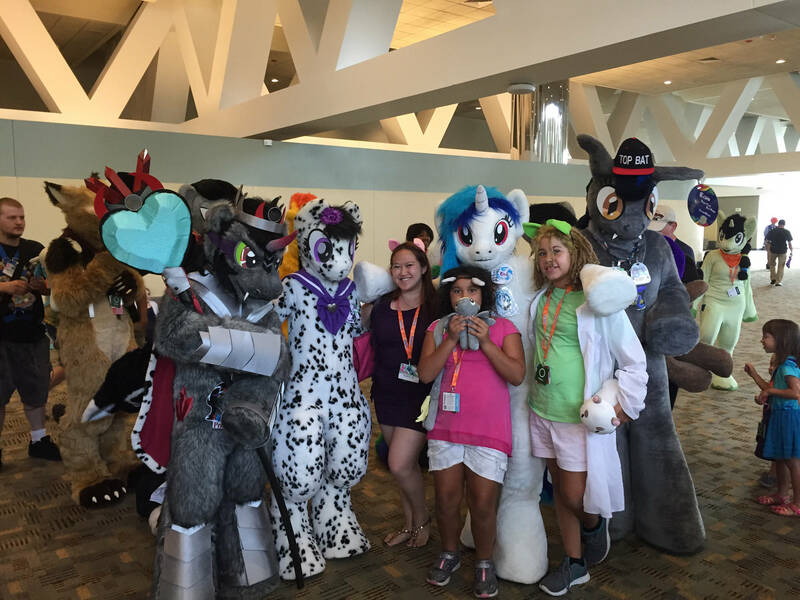 A few weekends ago (August 7-9, 2015) I traveled to Baltimore, MD meeting up with friends to go to BronyCon, which is the largest convention for fans of My Little Pony: Friendship is Magic. 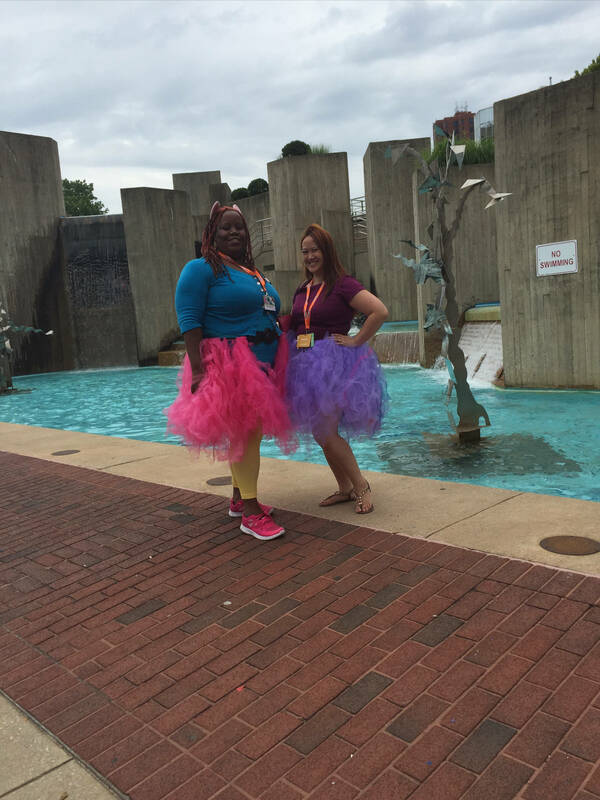 For Bronycon, I dressed in purple and glitter (wearing a beautiful pale purple tulle skirt that my friend made for me), in the style of Twilight Sparkle. 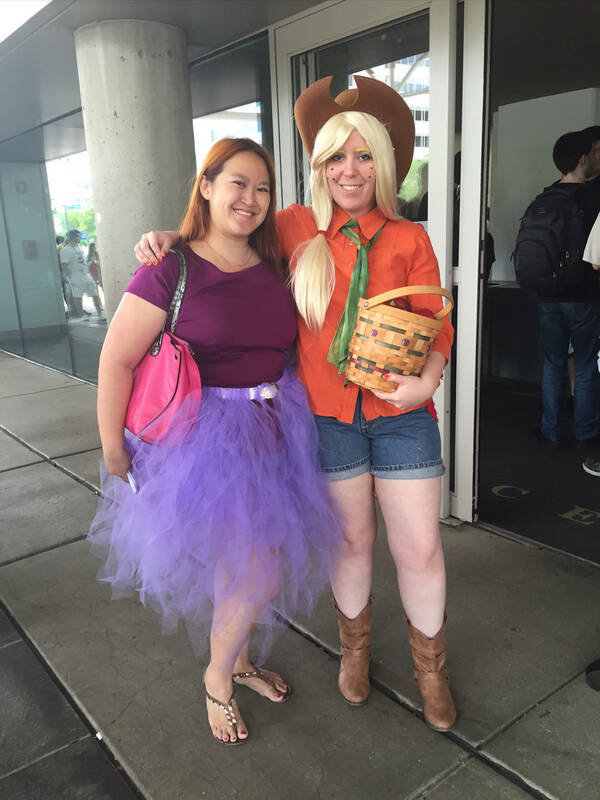 Here, I am pictured with the friendly Applejack! 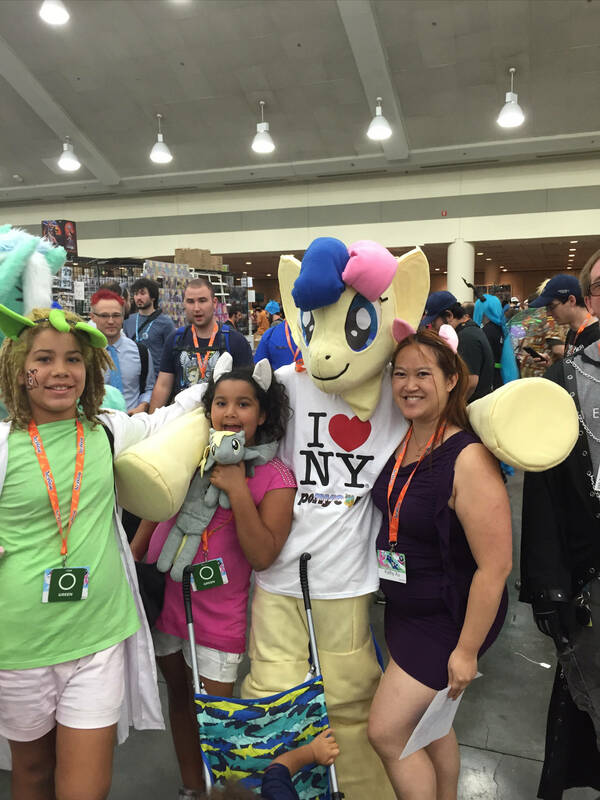 There were over hundred panels and activities at Bronycon this year. Some of panels were dedicated to the convention’s guests of honor, as well as panels from members of the fanbase on art, music, writing, video productions, and other community aspects. The convention also provided several activity rooms, such as for arts and crafts, video games, cosplay and card game tournaments. 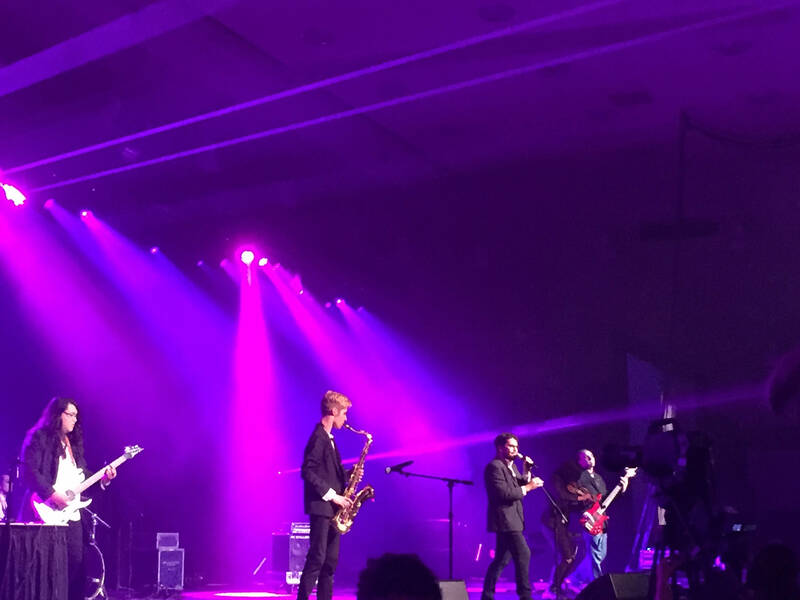 Bronypalooza: A musical concert over two nights, featuring fan musicians, such as Jeff Burgess & the Bad Mares, SaxBrony, ElieMonty, Seventh Element, ArtAttack, Rhyme Flow, Eurobeat Brony and many more! Cosplay/Costumes: I loved seeing all the gorgeous, flowing, handmade costumes throughout the conference. 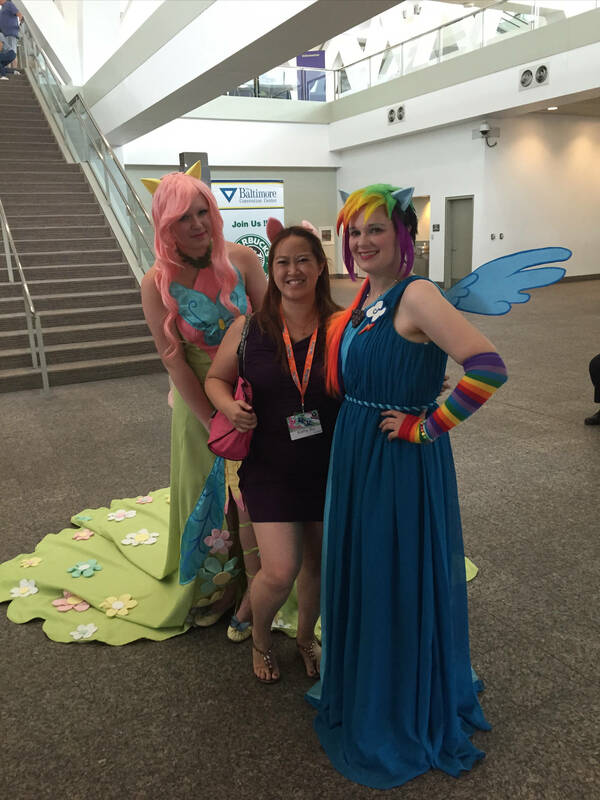 Below, I am pictured with Rainbow Dash and Fluttershy. Grand Galloping Gala: Lovely and lively dance party, from classical music to more energetic tunes. Hooves Line is it Anyway? : A fun-filled hilarious ponified-version of “Whose Line is it Anyway?” by talented actors. 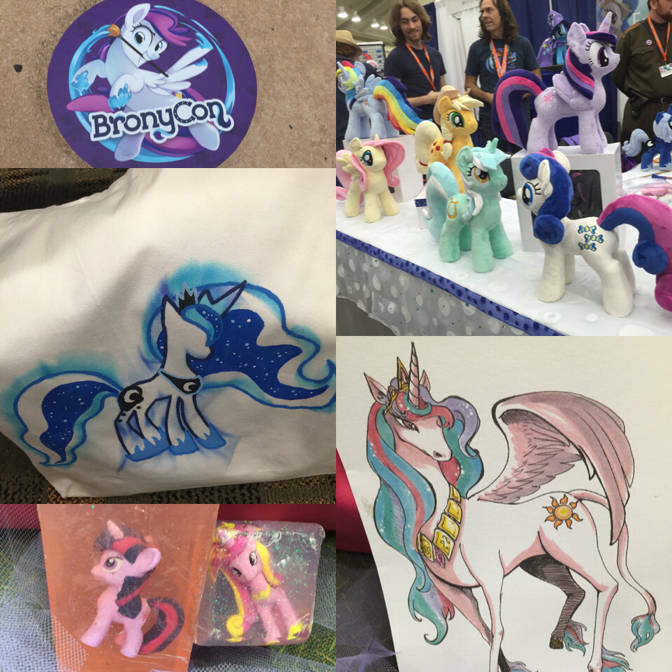 Marketplace: Over 200 vendors selling handmade art, along with selected retail vendors with licensed My Little Pony merchandise, such as the ever popular plushies and games. Here is some of the merchandise that I purchased: Luna bag, glittery soap and a gorgeous drawing of Princess Celestia. Open Mic: An eclectic mix of My Little Pony related poetry, singing, skits. Also, while walking around the Baltimore Convention Center, we came across some great photo ops with Furries! I also enjoyed the conference’s close proximity to Baltimore’s Inner Harbor, which my friends and I explored during the late afternoons and evenings, enjoying several delicious meals in the area. 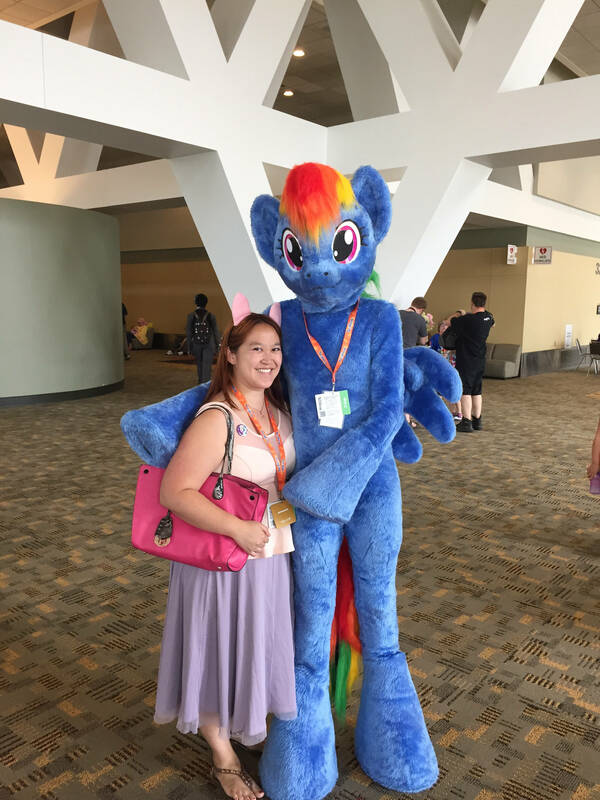 Overall, I had an amazingly fun adventure-filled weekend at Bronycon, and I am so happy I got to share this experience with awesome friends. 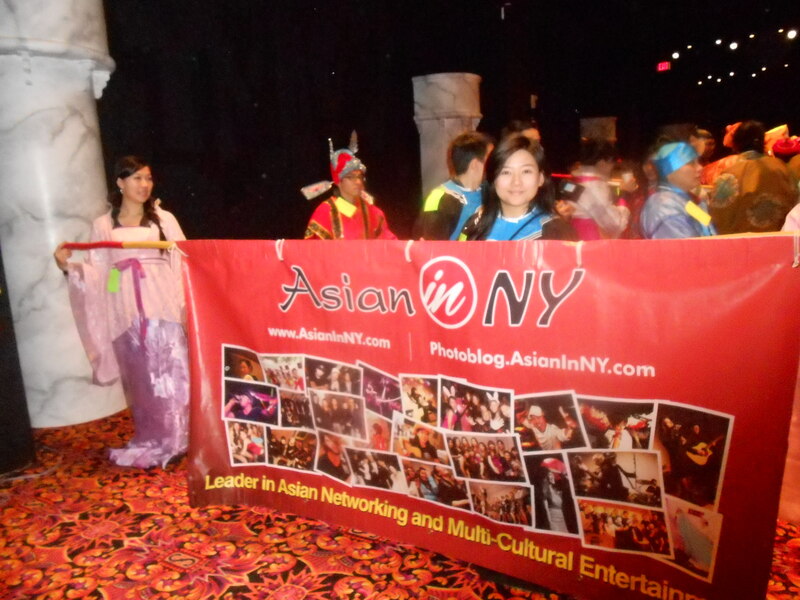 This past weekend I had the opportunity to travel to Atlantic City with Asian in NY to walk in the Atlantic City Lunar New Year Parade! We took a bus early in the morning from Chinatown, which took us to Showboat where we had breakfast of packaged Chinese breakfast items like roast pork bun and sesame bun with red bean filling. 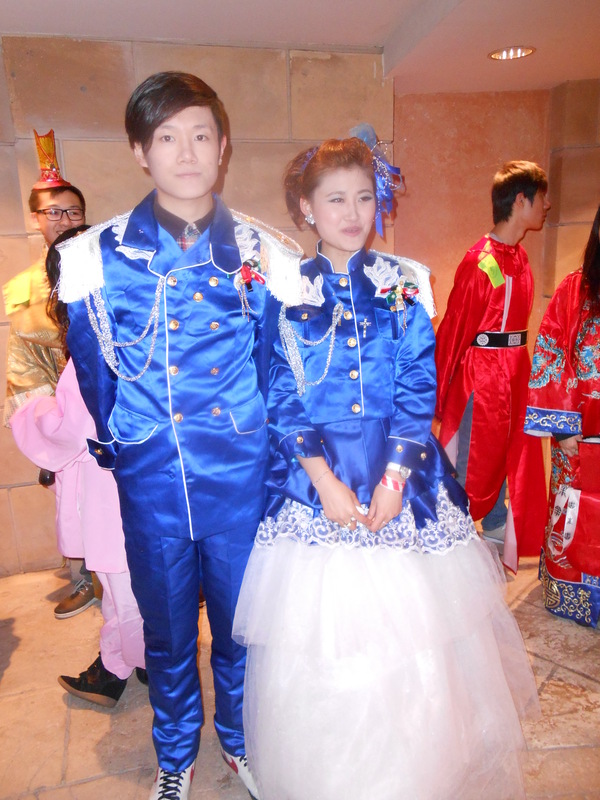 After eating, we headed to the huge back room to put on costumes, which were colorful, gorgeous, and wonderful! Although the first costume I was given was not to my liking, as it wasn’t feminine enough for me… So after complaining about it a bit too much, a friend of mine led me back to the costume table and told me to pick another one. I picked a beautiful blue high-necked gown with a pretty design and golden hat that made me feel like royalty. 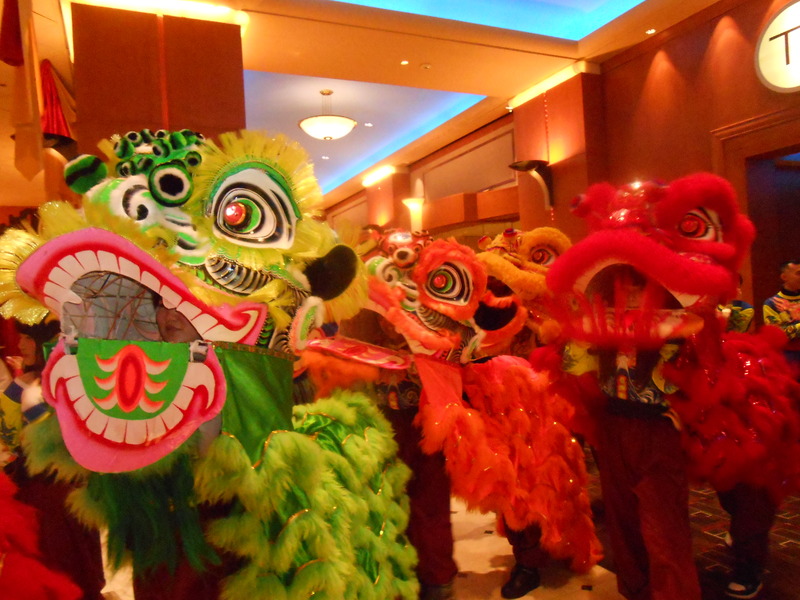 There was also the dragon; Korean drummers; dinosaur-like creatures; royal bride and grooms from different Asian cultures and time periods; and much more. 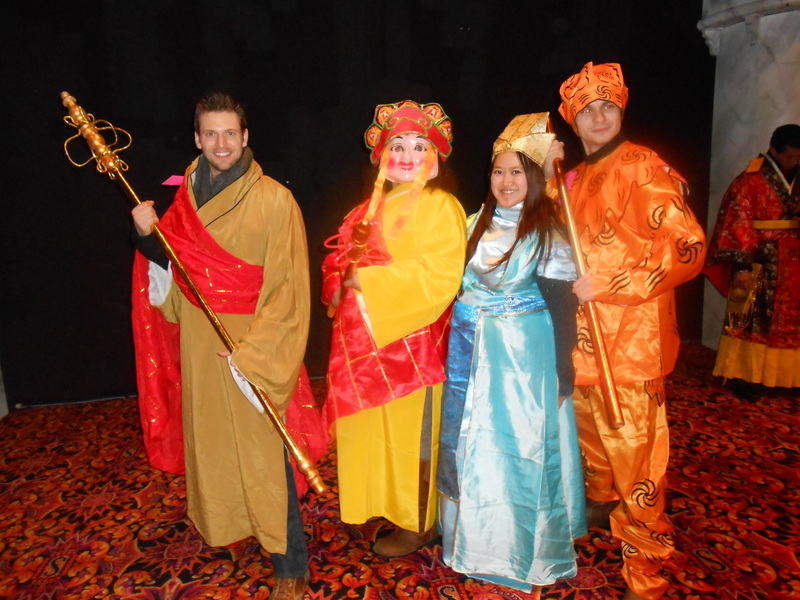 I got to meet some awesome characters in Chinese culture, like the Monkey King and the Monkey King’s Master. My favorite bride and groom pair wore a gorgeous satiny royal blue color with military-esque design, gold buttons, and tassels, as well as tulle, lace and sparkles on the bride’s dress. In all our amazing costumes and high energy splendor, we walked through Showboat, along the length of the boardwalk… Even the rain couldn’t keep the smiles off our faces as we waved at the adoring crowd. 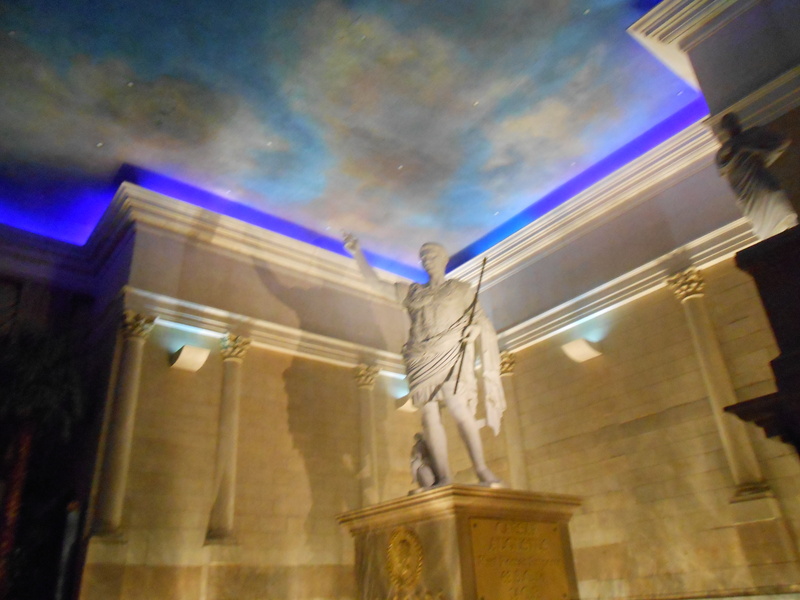 We went through Caesar’s, which was absolutely glorious: All marble, white statues, fountains, high ceilings painted sky blue. 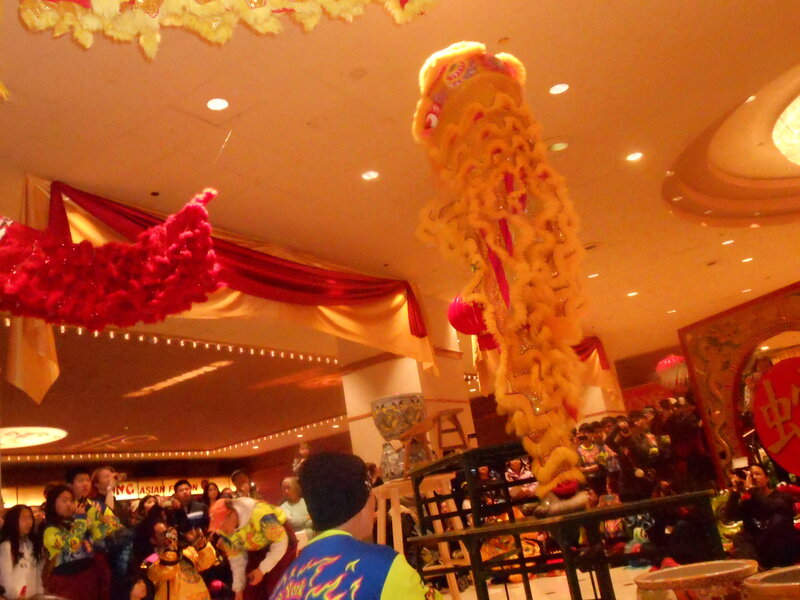 And after that, the yellow dragon started their acrobatic dance of jumping on huge flower pots, on top of high tables– All of which was quite a bit precarious, but they never missed a beat. It was mind boggling to watch their acrobatic skill. When the Lunar New Year Parade concluded, we got to eat at one of the buffet places at Bally’s… Mostly Chinese American dishes, such as chow mein, crispy chicken, spring roll, as well as soft serve chocolate & vanilla, chocolate pudding, rice pudding, fortune cookies and snacks such as popcorn and apples. 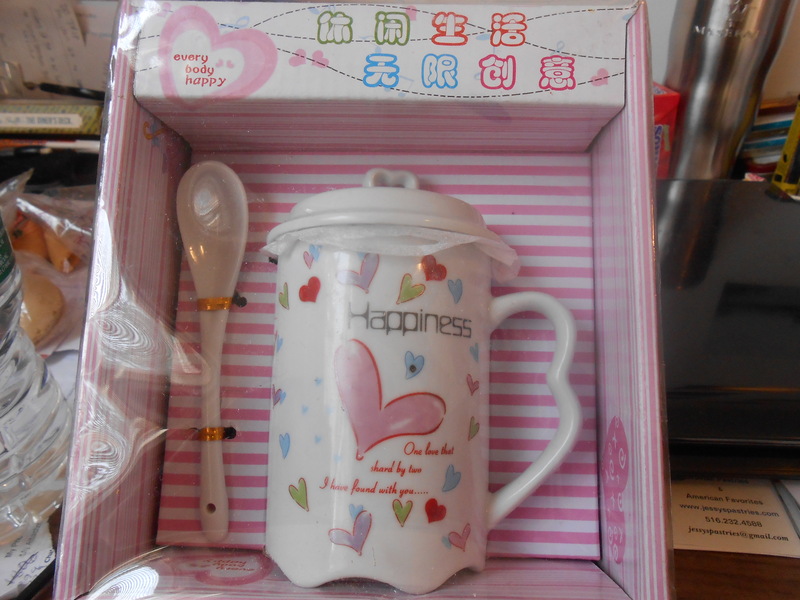 We also got a free gift that we picked up from Caesar’s Cultural Center… It was a very adorable mug with a spoon and cap cover. I picked one that had the word Happiness on it, as well as a large light pink heart and multiple other color little hearts. 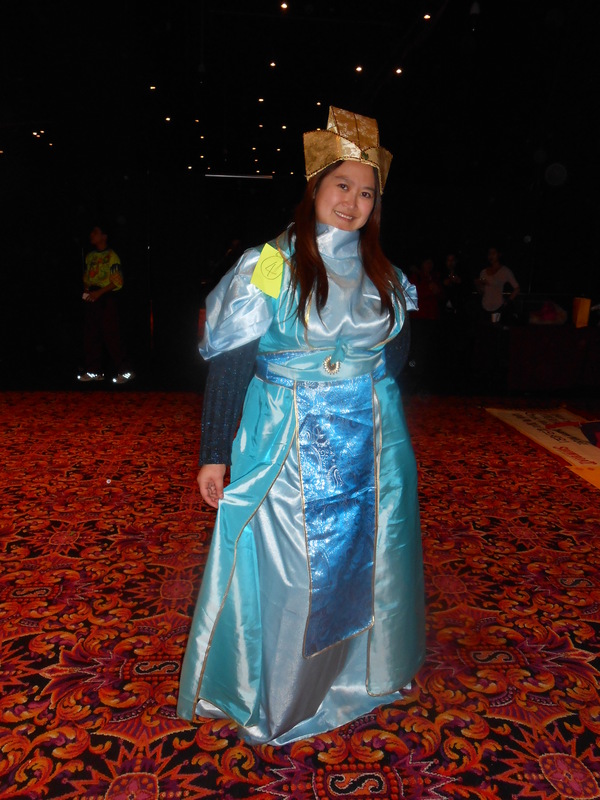 I really enjoyed my free trip to Atlantic City… Even though we didn’t really get a chance to explore or go shopping, it was worth it to be a part of the Lunar New Year Parade, and to feel like a Chinese Cinderella Princess in my blue gown costume!